Inspired by Fabric: A Quilt with Appeal! Pardon our pun...we couldn't resist! The "Orange Peel Two Step" quilt has so much appeal! 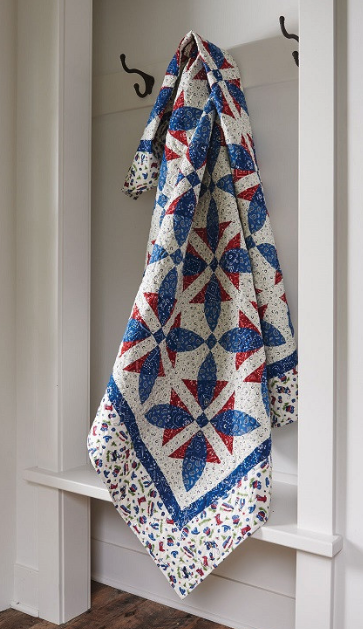 Barb Eikmeier made this quilt, featured in Fons & Porter's Love of Quilting, using her Kick Off Your Boots fabrics. Below, Barb talks about how she created these orange peel blocks. Q. Why did you decide to use orange peel templates? 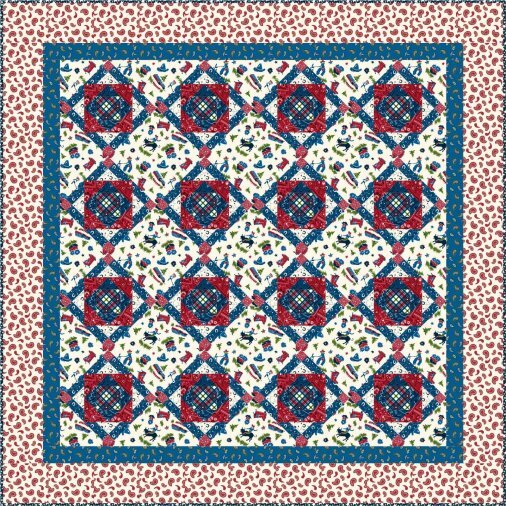 BE: I knew this quilt was going to be featured on the tv show, and I thought I could offer some valuable teaching points using the templates. Q. What makes this orange peel quilt different? BE: It uses a pieced background and a pieced peel. That’s where the two-step idea in the quilt name comes from. When I sewed the pieces, I did them in two steps. Basically I strip pieced the two fabrics and then used the template to cut. As an added bonus, if you press the seams correctly, the seams will match in the middle, and that’s easier for piecing the curve. It makes the curved piecing less intimidating. Q. How did you choose the fabrics? BE: I used two different blues in the orange peels. There’s a subtle difference between them, but it’s enough to show up. I like the contrast between the cream background and the red print. The red creates a churn dash look, and it’s really interesting. Q. Tell us about the hidden sashing strips. BE: If you look at the quilt, you might not see the second set of sashing strips. The have light blue cornerstone squares and are surrounded by blocks with the same cream print background. The two different blue cornerstones make little centers for the orange peel flowers. Even with the sashing, you still get the curved feel of the orange peel design. Q. How did you select the outer border? BE: My original design had a different, darker border. After I pieced the quilt center, I changed my mind. 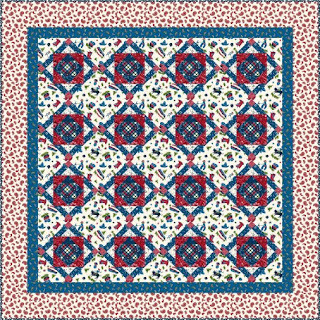 The border carries out the lightness out from the center of the quilt. Q. What else should we know about cutting and piecing these pieces? BE: The magazine has a paper template, but Fons & Porter also sells an acrylic template. With these templates, I could cut the shapes entirely by rotary cutter, which was great. 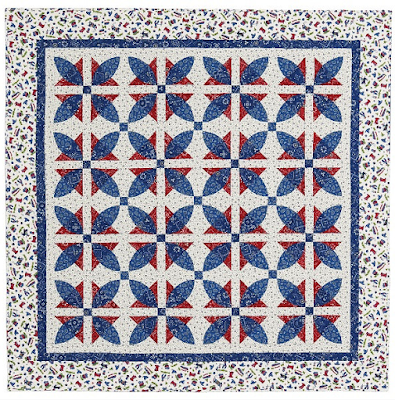 This quilt was also featured on the Love of Quilting Series 3100 tv series. Check with your local public television station for viewing times, or find the DVD here. See the entire Kick Off Your Boots collection here. 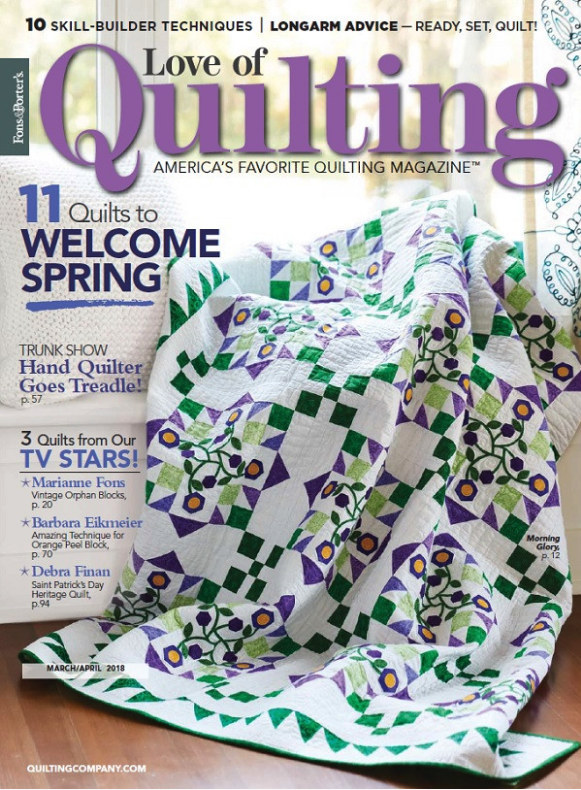 Find the Love of Quilting March/April 2018 issue here. 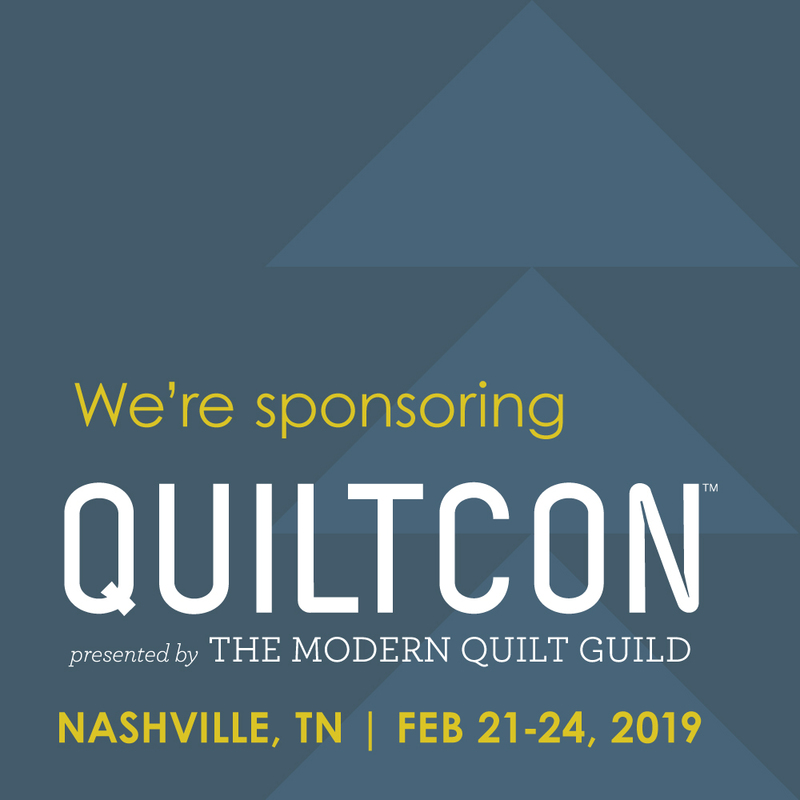 Looking for another Kick Off Your Boots quilt? 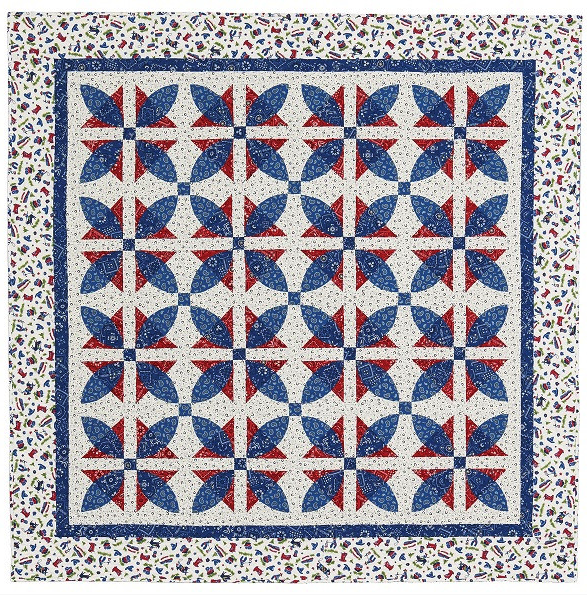 Download Barb's FREE pattern, "Cowboy Quilt," here.